Oh no! We may not fully support the browser or device software you are using! To experience our site in the best way possible, please update your browser or device software, or move over to another browser. Get immediate relief from pending collection action, wage garnishments, and more. New Client Promotion. Offer valid when you complete your taxes with us between 2/4/19 – 4/12/19 and mention this promotion. Each year: Minimum tax preparation fee of $150 applies. Each year $100 will be provided on a prepaid card or Walmart eGift card. Not valid with any other promotion or discount. Available in participating locations only. Most offices are independently owned and operated. FEDERAL RETURNS ONLY. Limited Time Offer. Minimum Tax Preparation fee of $150 applies. For new customers only: If, after Jackson Hewitt files your tax return, you are entitled to a larger Federal refund, you’ll get $100 in addition to our Maximum Refund Guarantee (the tax preparation fees paid to us for that filed return). Other product and service fees excluded. You must file an amended return with another paid tax preparation company and/or online provider by April 15, 2019 and submit your claim no later than October 14, 2019 with proof that the IRS accepted the positions taken on the amended return. Same tax facts must apply. Most offices are independently owned and operated. $48 OFFER IS FOR FEDERAL RETURN ONLY. NOT AVAILABLE FOR EITC, INTEREST INCOME, UNEMPLOYMENT INCOME, AND HEALTHCARE RETURNS. Additional fees apply for state, local, and more complex federal tax returns, financial products and other services. May not be combined with any other offer, discount or promotional price. Excludes Simple and Tier 1 pricing. Ask a Tax Pro for details. Participating locations only. Most offices are independently owned and operated. Only new clients (clients who did not apply for any MetaBank Refund Advance product at Jackson Hewitt in the prior tax season) who are approved for a No Fee Refund Advance loan or Early Refund Advance loan between 12/10/18 and 1/27/19 can receive an additional $250-$1000 as part of their total No Fee loan. Go Big Refund Advance clients are not eligible. The No Fee Refund Advance is an optional tax refund related loan (not the actual tax refund) provided by MetaBank® at participating locations for a limited time. The Early Refund Advance, No Fee Refund Advance and Go Big Refund Advance are optional tax refund related loans (not the actual tax refund) provided by MetaBank®. The Early Refund Advance and No Fee Refund Advance are 0% APR, no fee loans. The Go Big Refund Advance is a 35.9% APR loan. Early Refund Advance Loan. The Early Refund Advance Loan is offered in the amounts of $200, $300, or $400 at no cost to you. Early Refund Advance Loans are offered prior to your filing your tax return and you are not required to provide all information necessary to file your tax return to apply, but you must provide a most recent pay stub or equivalent form of evidence of income upon which Jackson Hewitt can make a preliminary estimate of your tax refund. Early Refund Advance Loans are available to qualified borrowers starting on December 17, 2018 until January 20, 2019. No Fee Refund Advance Loan. The No Fee Refund Advance Loan is offered after you have filed your tax return and are offered at no cost to you. No Fee Refund Advance Loans are offered in amounts of: $200, $500, $750, $1,000, $1,500, or $3,500. No Fee Refund Advance Loans are available to qualified borrowers starting on January 2, 2019 through February 24, 2019. Go Big Refund Advance Loan. The Go Big Refund Advance Loan is offered after you have filed your tax return and charge interest at an APR of 35.90%. For example, for every $1,000 borrowed over a 24-day term, total amount payable in a single payment is $1,023.61 including interest. Go Big Refund Advance Loans are offered in amounts of: $1,000, $1,500, $2,000, $3,000, $4,500, $5,000, $6,000, or $7000. Go Big Refund Advance Loans are available to qualified borrowers, at participating locations, starting on January 2, 2019 through February 3, 2019. When the Early Refund Advance Loan is available, you may choose to apply for an Early Refund Advance Loan and a No Fee Refund Advance Loan only, or you may apply for all 3 loans. If you apply for and are approved for all 3 loans, you can choose to receive an Early Refund Advance Loan, and you may choose whether to accept the No Fee Refund Advance Loan or the Go Big Refund Advance Loan, but you cannot take both. At all other times, you may choose to apply for a No Fee Refund Advance Loan only or you may apply for both a No Fee Refund Advance Loan and a Go Big Refund Advance Loan. We cannot make a final decision on your loan application until you provide your tax preparer with the tax forms necessary to prepare your tax return. For No Fee Refund Advance Loans and Go Big Refund Advance Loans, we cannot make a final decision on your loan application until your tax return is filed with the IRS. To be approved for any loan, you must meet the underwriting criteria established by MetaBank®. The amount of the loan and any applicable interest will be deducted from tax refund and reduce the amount paid directly to the taxpayer. Fees for other optional products or product features may apply. Tax returns may be filed electronically without applying for these loans. Availability subject to identity verification, eligibility criteria, and underwriting standards. Disbursement rules apply. Funds loaded onto card within an hour and direct deposit next business day, unless impacted by IRS delays. The prequalification process uses information contained on the consumer’s credit report in connection with the offer. If prequalified, consumer received offer because they met the lender’s requirements for credit. Jackson Hewitt is a licensed loan broker and credit services organization in the states where required to offer the Go Big Refund Advance loan. Jackson Hewitt holds licenses in the following states: Missouri (Credit Services Organization Registration #CR-19-8461), New Hampshire (Small Loan License #22620-SM), North Dakota (Money Broker License #MB103360), Oklahoma (Credit Services Organization Registration), and West Virginia (Credit Services Organization License). Visit https://www.jacksonhewitt.com/refund-advance/terms-and-conditions/ for more details. Most offices are independently owned and operated. Not all office locations offer the Go Big Refund Advance loan. Enrollment in, or completion of, the Jackson Hewitt® Basic Tax Preparation Course is neither an offer nor a guarantee of employment. Additional training, experience or skills may be required. Most offices independently owned and operated. Early Access Line of Credit of up to $400 offered by Republic Bank & Trust Company, member FDIC. Subject to underwriting and approval. American Express Early Access prepaid account and recurring monthly direct deposits to your bank account at Republic Bank in an amount at least $100 more than your credit limit are required. $20 monthly cost composed of $15 monthly Line of Credit Fee and $5 monthly prepaid card fee. Payment of outstanding line of credit balance and fees required monthly. Offer available at participating Jackson Hewitt locations only. Visit www.jacksonhewitt.com/earlyaccess/ for details. The Early Access Card is available to U.S. residents who are over 18 years old only (or 19 in certain states) and for use virtually anywhere American Express® Cards are accepted worldwide, subject to veriﬁcation. Fees apply. Other eligibility requirements and restrictions apply. For complete details, please visit www.serve.com/jacksonhewitt/legal to view the Early Access Card Consumer User Agreement. The Early Access Card service and Card are provided and issued by American Express Travel Related Services Company, Inc., 200 Vesey Street, New York, NY 10285, licensed as a Money Transmitter by the New York State Department of Financial Services. NMLS ID# 913828. All trademarks are property of their respective owners. Offer subject to change or expiration without notice. Jackson Hewitt is a Rhode Island Licensed Loan Broker. Jackson Hewitt is licensed in Maine (#CSO14242), Maryland (#CSO28-111), and holds other relevant licenses for the locations where this product is offered. Visit http://www.jacksonhewitt.com/earlyaccess/ for details, including license numbers. With our 100% Accuracy Guarantee, if there is an error preparing your return, your local office will cover penalties and interest. You must: (a) notify your local office in writing or in person within 30 days of the date set forth in the first letter you receive from any taxing authority concerning your covered tax return (and promptly at any time you otherwise discover any error); (b) provide copies of all documents related to the claim or otherwise requested (including any letters from a taxing authority and all documentation supporting your tax return); and (c) allow an investigation into the penalty, interest, additional tax or refund shortfall, in any manner appropriate, and cooperate and assist in these efforts (including signing appropriate authorizations). You are responsible for paying the appropriate taxing authorities in a timely fashion, regardless of reimbursement, as the case may be. Coverage under the 100% Accuracy Guarantee is subject to payment of tax preparation fees. Guarantee does not apply to the following situations (“Exclusions”): (i) you provided incorrect, incomplete or false information to your local Jackson Hewitt Office or to Jackson Hewitt Inc.; (ii) your tax refund was reduced or not received as a result of a tax lien, judgment, support order, unpaid student or government related loans, back taxes, or any other collection activity; (iii) you are unable to substantiate a deduction, credit, or other position taken on the Covered Tax Return (whether it be a failure to produce sufficient documentation or otherwise); (iv) you failed to timely file the tax return or pay the taxes shown as owing on such return; (v) fraud; (vi) for errors caused by software or other technology malfunction; and/or (vii) for Affordable Care Act (ACA) tax preparation and/or related ACA services (collectively “ACA Services”), or for any changes in income from the prior year(s) and reconciled in the current tax year that may affect the Premium Tax Credit advance for which the taxpayer was eligible to receive, or for income estimates made in any tax year that may affect any tax year reconciliation process in Form 8962 Premium Tax Credit (collectively “Excluded ACA Services”). The only ACA Services included are Line 61 of the Schedule 4, Form 8962-Premium Tax Credit (but not for Excluded ACA Services), and Form 8965-Health Coverage Exemptions. Void if you refile with another tax preparation. Valid at participating locations only. Referral reward paid to existing customers for each new client who files during promotion period with valid Refer-A-Friend certificate. A new client has not filed 2017 or 2018 tax year returns with Jackson Hewitt. New clients must present Refer-A-Friend certificate in conjunction with tax preparation. $50 provided by check. Available in participating locations only. Most offices are independently owned and operated. PROMOTION VALID 3/1/2019 - 3/31/2019. Maximum Refund Guaranteed: Maximum refund guaranteed or your tax preparation fee back. If you are entitled to a larger refund, we'll refund the tax preparation fees paid to us for that filed return (other product and service fees excluded). Federal returns only. Same tax facts must apply. You must file an amended return with another paid tax preparation company and/or online provider by April 15, 2019 and submit your claim no later than October 14, 2019 with proof that the IRS accepted the positions taken on the amended return. An Assisted Refund (AR) permits payment of tax preparation and other fees with your refund upon completion of services. It is not a loan. Bank AR fee and other fees apply. AR provided and processed by Republic Bank & Trust Company, Member FDIC. Ask a Tax Pro for details and refund options with no additional cost. Worry-free Guarantee —Fees, terms and conditions apply for Worry-free Guarantee. If a taxing authority notifies you of a tax return error, contact Jackson Hewitt and, present your Worry-free Guarantee Certificate. Resolution may include reimbursement for any additional tax liability or reduction in your refund amount up to $5,000. You must (a) notify your local Jackson Hewitt Tax Service office in writing or in person within 30 days of the date set forth in the first letter you receive from any taxing authority concerning your covered tax return (and promptly at any time you otherwise discover any error); (b) provide your local Jackson Hewitt office with copies of all documents related to the claim or otherwise requested (including any letters from a taxing authority and all documentation supporting your tax return); and (c) allow your local Jackson Hewitt office and Jackson Hewitt Inc. to investigate, question, or challenge the penalty, interest, additional tax or refund shortfall, in any manner they deem appropriate, at their expense, and cooperate and assist them in these efforts (including signing appropriate authorizations). You are responsible for paying the appropriate taxing authorities in a timely fashion, regardless of reimbursement by a Jackson Hewitt office or Jackson Hewitt Inc., as the case may be. Worry-free Guarantee coverage is subject to payment for the Worry-free Guarantee. Coverage under the Worry-free Guarantee does not apply to the following situations (“Exclusions”): (i) you provided incorrect, incomplete or false information to your local Jackson Hewitt Office or to Jackson Hewitt Inc.; (ii) your tax refund was reduced or not received as a result of a tax lien, judgment, support order, unpaid student or government related loans, back taxes, or any other collection activity; (iii) you are unable to substantiate a deduction, credit, or other position taken on the Covered Tax Return (whether it be a failure to produce sufficient documentation or otherwise); (iv) you failed to timely file the tax return or pay the taxes shown as owing on such return; (v) fraud; (vi) for errors caused by software or other technology malfunction; and/or (vii) for Affordable Care Act (ACA) tax preparation and/or related ACA services (collectively “ACA Services”), or for any changes in income from the prior year(s) and reconciled in the current tax year that may affect the Premium Tax Credit advance for which the taxpayer was eligible to receive, or for income estimates made in any tax year that may affect any tax year reconciliation process in Form 8962 Premium Tax Credit (collectively “Excluded ACA Services”). The only ACA Services included are Line 61 of the Schedule 4, Form 8962-Premium Tax Credit (but not for Excluded ACA Services), and Form 8965-Health Coverage Exemptions. The Worry-free Guarantee is available at participating locations only. You must have a valid Social Security Number (SSN) or Individual Taxpayer Identification Number (ITIN) to purchase the Worry-free Guarantee. Void if you refile with another tax preparation company. Coverage shall be determined in the sole judgment of Jackson Hewitt Inc. Employees, agents or owners of a Jackson Hewitt Office or any person related to such a person by blood, adoption or marriage are not eligible for Worry-free Guarantee coverage. Jackson Hewitt cannot act as your legal counsel, financial advisor, or otherwise represent you in connection with an audit. Ask a Tax Pro for details. Fees, terms and conditions apply for Audit Security GuaranteeSM. To access these services, you must: (i) Notify Jackson Hewitt and/or its contractors of any IRS correspondence or notice regarding the Return within fifteen (15) days from the date of such notice along with a complete copy of the Return; call the dedicated Audit Security Guarantee line at 855-955-6468; (ii) Provide Jackson Hewitt and/or its contractors any further assistance or documents as requested that support claims made on the Return; (iii) Pay the Audit Security Guarantee fee. The Audit Security team will review your case and advise on next steps, generally within two business days from case set up. If the Audit Security Guarantee was purchased in conjunction with a Worry-free Guarantee, please file the Worry-free Guarantee® claim through the Worry-free Guarantee® claims process. If a letter was received from a tax authority, the Worry-free Guarantee® claim will be processed upon completion of Audit Security case. Your acknowledgements: You agree that: (i) You have read this Agreement carefully and accept the terms and conditions to access Audit Security Guarantee Services; (ii) The Audit Security Guarantee does not relieve you of any obligations to respond to the tax authority based on time frames dictated by the tax authority; (iii) These Services can be used only for your personal benefit; (iv) The Audit Security Guarantee is not insurance; (v) You have truthfully provided correct, accurate and complete information to the Jackson Hewitt Tax Pro who prepared your return; (vi) Failure to comply with procedure and strategy actions recommended by the Audit Security Guarantee program case manager may result in an IRS ruling unfavorable to you; (vii) Failure or refusal to comply with requests or instructions from the IRS during an audit may result in adverse actions taken by the IRS to your detriment; (viii) Jackson Hewitt Inc. and its contractors will not be held responsible for the outcome of an audit and reserve the right to cease providing services when reasonably warranted; (ix) Your specific information, including all information that you disclosed to your Jackson Hewitt Tax Pro or has been included on your return, may be disclosed by Jackson Hewitt Inc. to its contractors and used by Jackson Hewitt Inc. and its contractors in a manner consistent with this Agreement; (x) You forever release, acquit and discharge Jackson Hewitt Inc. and its past and present agents, employees, officers, directors, successors, assigns, parent company and affiliates, shareholders, representatives, franchisees, and the successors and assigns of any of them, and contractors and their employees, agents and affiliates, from any and all liabilities, claims, demands, obligations, damages, costs, expenses and compensation, actions, and causes of action that you or your legal representative(s) may have by reason of any monetary damage or personal injury sustained as a result of or during the cause of the use of any and all Services. Service Exclusions: The following types of tax returns and or IRS Inquiries are specifically excluded: (i) Non-Resident federal returns; (ii) Returns other than individual 1040 returns including, but not limited to, corporate, partnership, trust, estate, gift and employment returns; (iii) Returns in which you had knowledge of additional taxes owed as of the date you enrolled in the Audit Security Guarantee program; (iv) Local city and county returns; (v) Returns that have become subject to IRS criminal investigations; (vi) IRS inquiries and/or audits resulting from a change in the interpretation of the tax law that occurs after the return was prepared; (vii) IRS inquiries related to foreign income, flow¬ through entities (partnerships and S-corporations as reported on Schedule K), court awards and damages, bartering income, cancelled debt, estate and gift tax; (vii) IRS inquiries related to the following credits: Foreign tax credit, Plug-in electric vehicle credit, Residential energy efficient property credit, Mortgage interest credit, Credit to holders of tax credit bonds, Health coverage tax credit, "Credit" for prior year minimum tax, "Credit" for excess Social Security tax or railroad retirement tax withheld. Due to a lack of clarity from the IRS on the Affordable Care Act (ACA), we may not be able to assist with all IRS inquiries and audits related to the ACA. 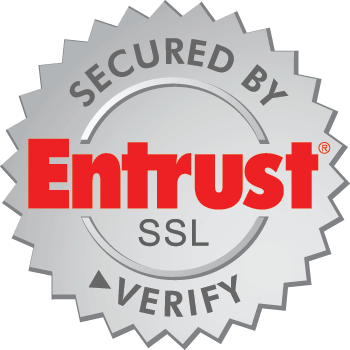 To access the Audit Security Guarantee Services, call the dedicated line at 855-955-6468. Not all tax return reviews will result in additional money from a taxing authority. Valid for returns filed within the last year. Fees apply to file a corrected or amended return. Most offices independently owned and operated. Free Tax Debt Relief Consultation! Do you owe the IRS back taxes? If so, we can help. We handle all tax debt - large and small, simple or complex. If you still need to file we can help! Many Jackson Hewitt® offices are open year-round if you need an extension, to file late or quarterly, or even to recheck prior returns. Jackson Hewitt Online makes it simple and easy to prepare and file your taxes from the comfort of your home. Need your paycheck before payday? Early Access is a smart alternative to payday loans. With Early Access, you can get up to $400 before payday, all year round. We’re here for you. Come in to Jackson Hewitt and apply! We’re not tax machines. We’re Tax Pros who've seen it all — from the simple to the complex — and we’ll dig deep to get you 100% Accuracy and the Maximum Refund, guaranteed, or we pay. Jackson Hewitt's trained 25,000 Tax Pros nationwide are ready to help you get every credit and deduction you deserve. Entrepreneur, freelancer or side gigger, we provide personalized service to help make the most of your unique tax situation. Every tax return we prepare comes with our 100% Accuracy and Maximum Refund guarantees, not to mention Free IRS Audit Assistance. We'll work hard so you don't leave money on the table. We’re open late and on weekends. Find an office to book an appointment.